Summer means baseball, and it’s time to root, root, root for the home team – the Humboldt Crabs! The team plays their home games at the Arcata ballpark, just a short 35 minute drive north on U.S. 101 from your lodging at the Redwood Riverwalk Hotel in Fortuna. At the game, you’ll enjoy everything that’s part of this century old American tradition – the cracks of the bats, the cheers of the crowd, and sounds of a live Crabgrass Band. “Hot dogs, peanuts, popcorn…” – don’t forget those favorite ballpark snacks! Beer is available as well. The Humboldt Crabs are the oldest continuously-operated summer collegiate, wood-bat, baseball team in the United States. The team is made up primarily of collegiate players from the West Coast. They’ve been a hit with Californians for three-quarters of a century, and this year they’re off to a great start, winning six out of seven of their first games! 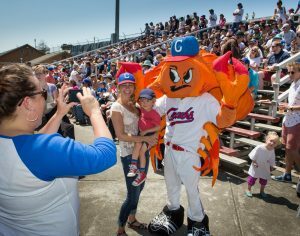 Taking in a Humboldt Crabs game on a warm summer day is an affordable treat. Adult tickets are $9.00, seniors and students $6.00, and children 12 and under, $4.00. You can purchase tickets online and at the ballpark on game day. The Redwood in Fortuna is a great home base for your vacation on California’s Redwood Coast. The local area map on our website shows you some of our favorite places to see, visit, tour, eat, drink, shop, bet, and more! The Avenue of the Giants, Humboldt Bay, a variety of state parks and beaches all are close by. Arcata’s attractions, including Humboldt Crabs baseball, the Arcata Marsh & Wildlife Sanctuary, North Coast Adventure Center’s Canopy Tour, Redwood Curtain Brewing Company, and Holly Yashi Design, are just a half-hour away. 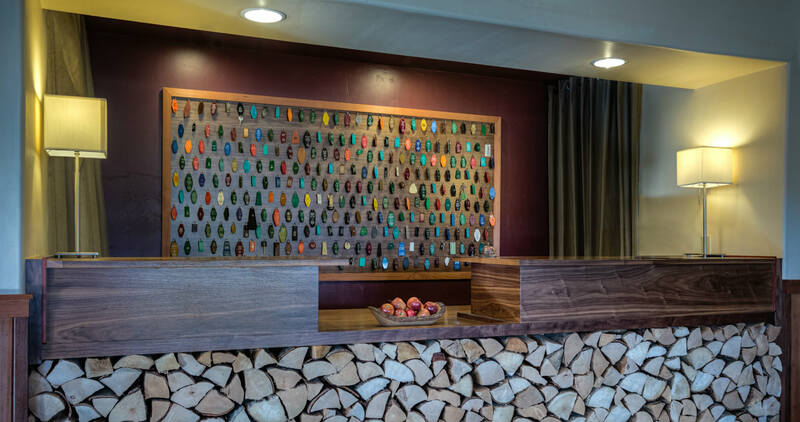 We predict a vacation home run in your future when you stay at our Fortuna hotel this summer, so go online to reserve your stay, and maybe some tickets for Humboldt Crabs baseball, too! This entry was posted in Area Activities, Events, Outdoor Activities, Sports, Things to do, Uncategorized and tagged Arcata baseball, Entertainment, Humboldt Crabs by admin. Bookmark the permalink.